The war expanded the range and complexity of government activity and increased governmental involvement in many aspects of Canadian life. Canada entered the war with a small public service, no income tax, and few forms of direct government involvement in the economy. The federal government had no experience in running a large war and assumed, as did most Canadians, that a “business as usual” attitude would suffice in organizing the country for the struggles ahead. But the war cost vast amounts of money, demanded enormous supplies of people, goods, and services, and placed great stress on wages, prices, and many areas of home front activity. In mobilizing support for the war abroad while attempting to ease or manage its effects at home, the federal government became increasingly involved in the lives of Canadians, usually with great reluctance and not always with success. The spirit of voluntarism and patriotic fervor that marked the war’s outbreak diminished only gradually, and contemporaries considered many later government initiatives, including personal income tax, temporary wartime measures that would be abolished when the war was over. Conscription in 1917, or compulsory military service, was the government’s most dramatic temporary wartime intervention, but there were many others, including corporate and personal taxation, the prohibition of alcohol, censorship, and propaganda. 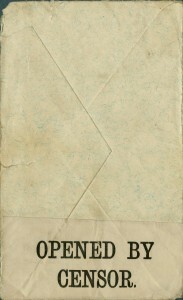 The control of sensitive military information was a wartime necessity, but the government’s role in information management extended far beyond the surveillance and editing of soldiers’ letters from the front. An official censor in Canada monitored newspapers and other publications for material that might harm the war effort, while federal officials threatened editors and publishers with jail time if they failed to comply with warning notices. The unprecedented levels of government activity during the war had long-lasting effects. Some initiatives, including the nationalization of railways, completed in 1919, would shape Canadian business activity for decades to come. Others, including corporate and personal income taxes, have never been repealed. The lessons learned from managing, and not managing, the Canadian economy in 1914-1918 would have profound effects on government operations during the Second World War. 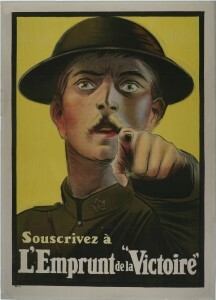 Canada created the War Poster Service in 1916 to produce posters in both official languages. As the war progressed and the need for money and soldiers became more pressing, posters became more graphic and direct in their messages. In this poster, a Canadian soldier pointedly asks members of the public to buy war bonds in support of the war effort. 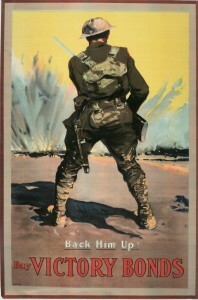 The design was based loosely on the popular and mass-produced 1914 poster of Lord Kitchener, the British Secretary of State for War, exhorting Britons to join the British Army.